In 1999 Arrow Dealerships met with Pastor Mark Hewitt of Love and Care Ministries regarding his ministry for the poor and homeless in the Abilene area. Arrow realized that it could easily make an impact as a community leader in educating the public regarding this program and raise public awareness. The location of their main Mitsubishi store could be used to increase the volunteer base and donation of clothing, bedding, money and food. There was great potential to hold an event to accomplish their objectives for Love and Care ministries. Year after year, Mission: Thanksgiving is more successful than the last. 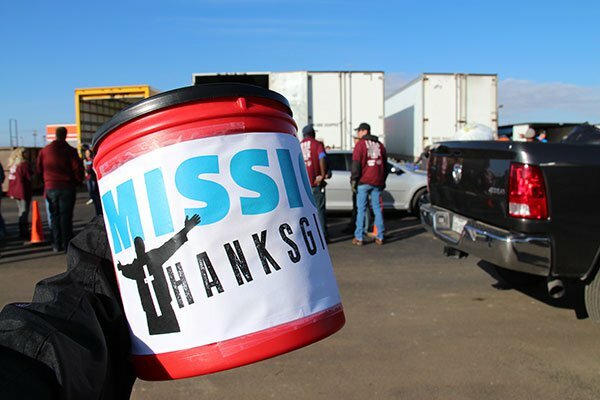 Mission: Thanksgiving is a chance for the community of Abilene and Big Country to band together in hopes of aiding Love & Care Ministries in helping the homeless and poor of Abilene. Each November for the passed Seventeen years, Mission: Thanksgiving has benefited the homeless and poor in tremendous ways. 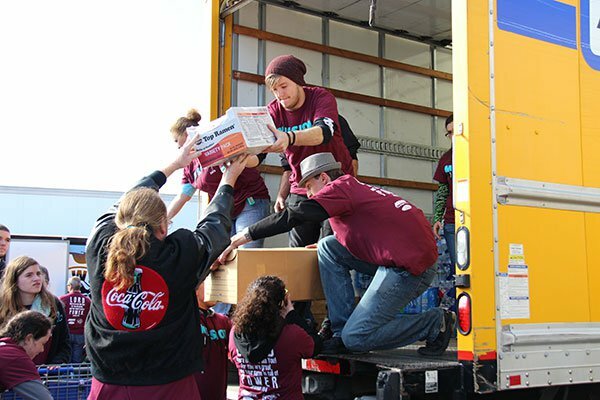 Not only has it provided necessities such as food and clothing, Mission: Thanksgiving has supplied the necessary monetary donations to help continue the Soup Kitchen that is open 5 days a week, in addition to helping fund the development of two facilities in the rule communities Merkel and Clyde. 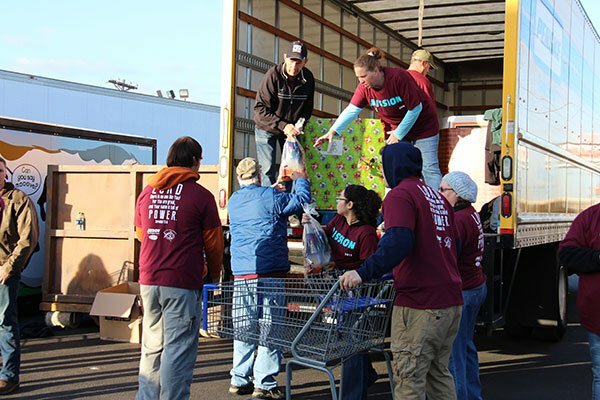 Last year alone, we received 12 semi-trailers full of clothing, non-perishable foods, blankets, sleeping bags, coats, bottled water & drinks, shoes, socks, and hygiene items. In addition, over $160,000 was raised, with over 5,000 vehicles driving through Arrow Mitsubishi to donate in just one day. In spite of the overwhelming response, all donations collected for 2015 were distributed within 11 months. This is an incredible gift each year for Love & Care and the homeless and poor of Abilene. Although there are many agencies in Abilene that work with the disadvantaged, Mission: Thanksgiving’s efforts all go to support Love and Care Ministries. This Non-Profit organization is led by Mark Hewitt, Executive Director and Founder. This organization goes to the streets of Abilene daily, and travels to various areas where homeless people camp to provide food, clothes, and assistance wherever they are needed. 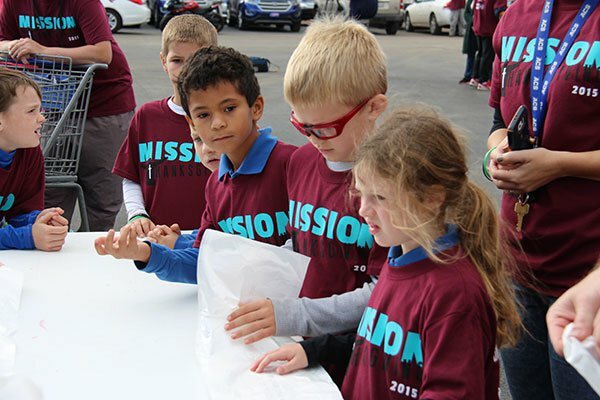 With just 43¢, Love and Care Ministries can create 1 sack lunch. $10 is enough to feed 24 people, and $500 can make 1,162 meals! Even the smallest donations can help make a difference in these people’s lives. There are an estimated 400+ residential homeless people in Abilene, and about 2,000 more transient homeless travel through Abilene each year. Children make up 20% of these numbers, which do not include the poor who benefit from the food and clothing services. That said, it is obvious just how many people benefit from drives like Mission: Thanksgiving. In 2012, over 350,000 meals were provided for people in need. Businesses can become a sponsor for this major event by donating a minimum of $500, which will help feed 1,600 people. All of the sponsors will be graciously thanked via radio station and signage at the event. Anything that is in good shape that you would like to share. Contact Katherine Parker at (325)692-9500 ext 314 for more information.